We are not able to sell Rex items directly to the public. 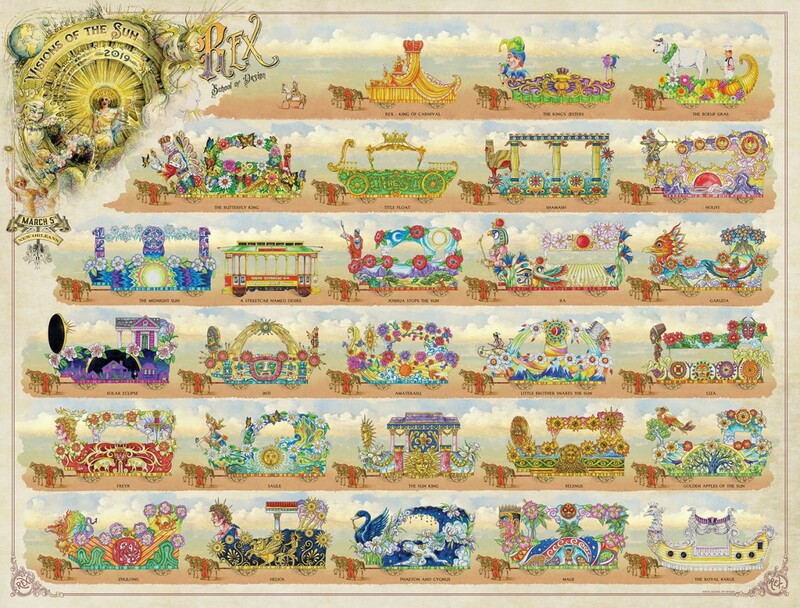 Rex Proclamations, Parade Bulletins, and some other Rex items can be obtained from other sources. 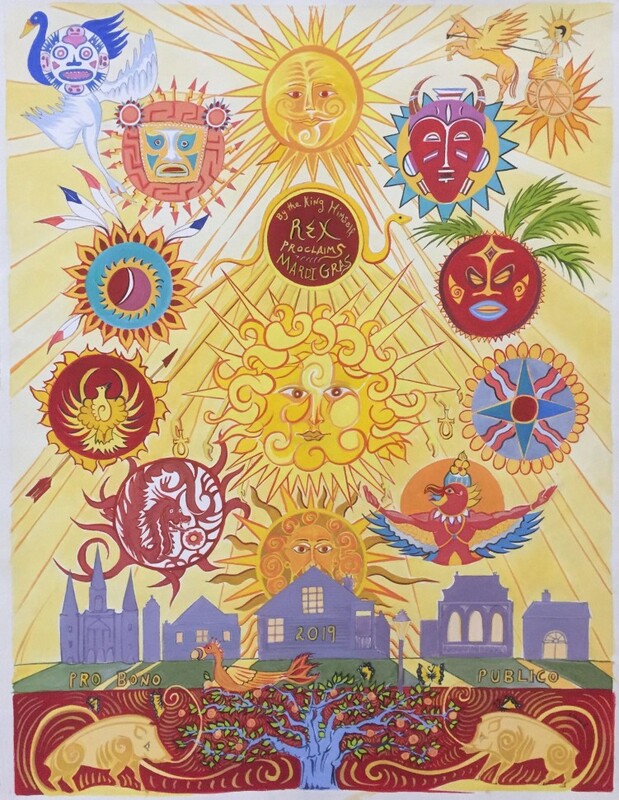 The 2019 Rex Proclamation, the work of noted New Orleans artist Alex Beard, illuminates “Visions of the Sun,” the theme of the Rex procession. Beautiful images of deities associate with the sun in ancient cultures are arrayed over the outline of a New Orleans neighborhood. Bulletins are available for online purchase to the public from an external website.